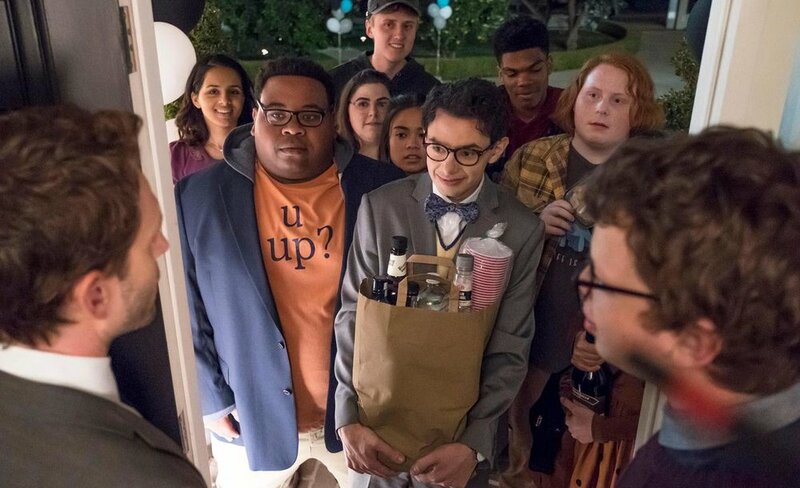 As Jack tries to win his ex-girlfriend over by helping with her fundraiser, the bio class decides to have a night to remember at the same place where Jack's party is held. "We Don't Party" was a good episode that had its good moments and bad moments. Mainly the bad moment was mostly between Jack and his ex-girlfriend's boyfriend where I thought that Jack would have the upper hand in outsmarting the doctor with what we've seen throughout the season. Even the teachers, who come to the party didn't have much to do but comment. Even Mary's meeting a man, who happens to have a thing for dressing up toes was weird. The good moments came with the AP Bio students having their party at the same place as Jack's at Victor's house. Whether it's watching the students, drink and dancing to music or listening to Heather about cutting someone, or Victor comforting his friends about scared to drink and yet took a shot. Also watching Patton Oswalt's character trying to go to the party, even though he wasn't invited, had little to no effect in the story was still funny. Even though this might not be the best episode, it has it's funny moments but you would probably forget this episode after it's done. Overall, I give this episode a 7/10. You can catch A.P. Bio Thursdays at 8:30/7:30c on NBC.